Skrill recently made another change to their money transfer (p2p) fee structure. The fee for some countries for non-VIP clients were heavily increased as well as the fee for the first transaction for certain countries. Here you can find a quick overview about which countries are affected, the exact fee percentages and how we can help you to lower or even avoid those fees for you as we still offer a great deal to easily become a Skrill VIP. Not all countries are affected by those changes and for most non-VIP clients the fee was not increased. non-VIP clients = 5% (capped at 50 EUR). bronze VIP clients = 1.45 (min. 0.50 EUR). silver VIP clients or higher = FREE. A Russian customer who sends 500 EUR from his Skrill account (non-VIP) to another Skrill account will have to pay 25 Euro in fees. Please keep in mind, this fee counts only for the first deposit and only for accounts created after the 3rd April 2019 without making any deposit first*. As soon as you make a deposit you will have the standard fee of 1.45% (min. 0.50 EUR) for your first money transfer. A Bangladeshi customer who makes his first transaction without depositing first sends 500 EUR from his Skrill account (non-VIP) to another Skrill account and will have to pay 27,50 Euro in fees. BUT: if this client makes a deposit to his Skrill account first, then the fee will be reduced to 1.45% automatically and he only needs to pay 7.25 EUR fee. * excluded deposit payment methods are NETELLER, paysafecard or BitPay. There is only one solution to avoid those fees (not only for those countries, but for all): become a VIP member. By reaching silver VIP level you will have no p2p fee anymore. No matter if you are located in one of the above mentioned countries or at any other country (only exception: Bangladesh). Since Skrill recently announced to not offer any instant Skrill VIP upgrades anymore we are more than happy to still be able to offer you an easier upgrade to all VIP levels and to lower or avoid the money transfer fees completely. Skrill bronze VIP – after reaching 3,000 EUR in deposits to merchants within 30 days (without eWO: 6,000 EUR). Skrill silver VIP – after reaching 5,000 EUR in deposits to merchants within 30 days (without eWO: 15,000 EUR). 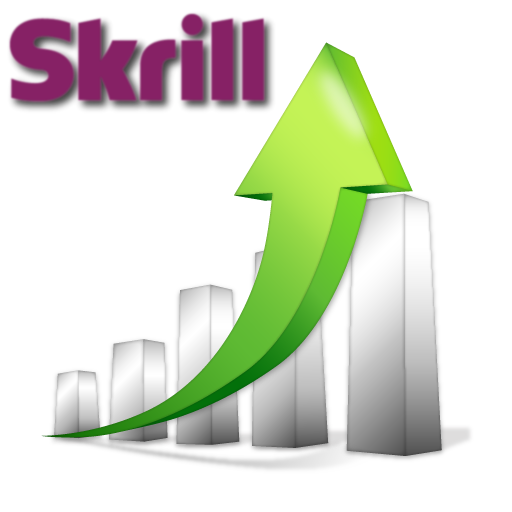 Skrill gold VIP – after reaching 15,000 EUR in deposits to merchants within 30 days (without eWO: 45,000 EUR). Skrill diamond VIP – after reaching 45,000 EUR in deposits to merchants within 30 days (without eWO: 90,000 EUR). As you can see, this is a great offer and you have to deposit only one third of the regular VIP requirements for most level. Make sure to not miss that great deal and join us for free now if not done already. 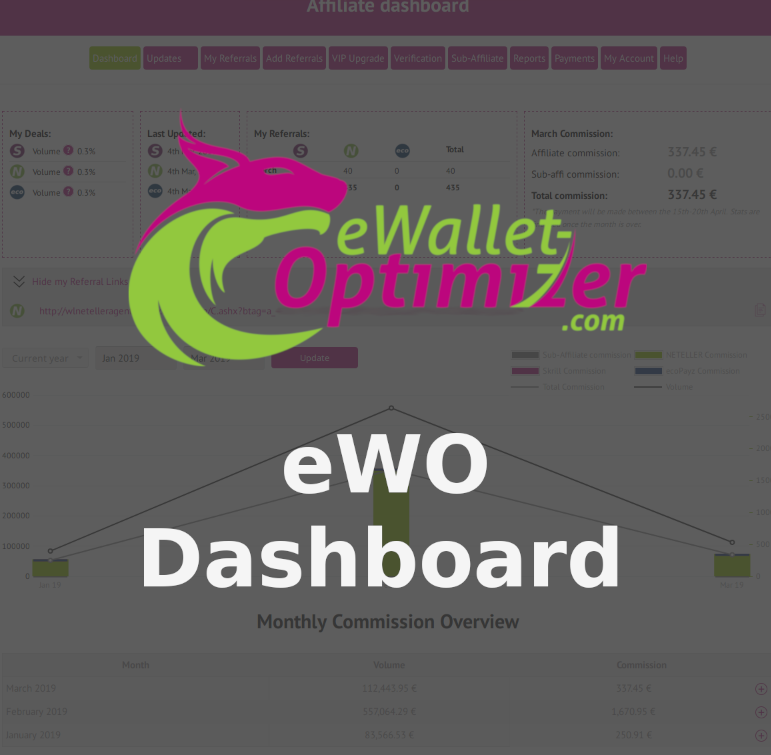 Again, we are also happy to remind you to check our eWO Dashboard. Check your eWO Bonus and commission earnings, request VIP upgrades, refer new friends and partners to us & earn some extra cash and much more. You don’t have your personal dashboard access yet? Sign-up today and create your own account now! Please contact us for any further questions. No matter what if it is about the Skrill p2p fees or for any questions about our eWO Bonus or eWO Partner Program and our Dashboard.